Shaggy Dog Productions is pleased to reveal the cover for Deaglan’s Deception, The third book in Belinda M. Gordon’s romantic fantasy series The King’s Jewel. 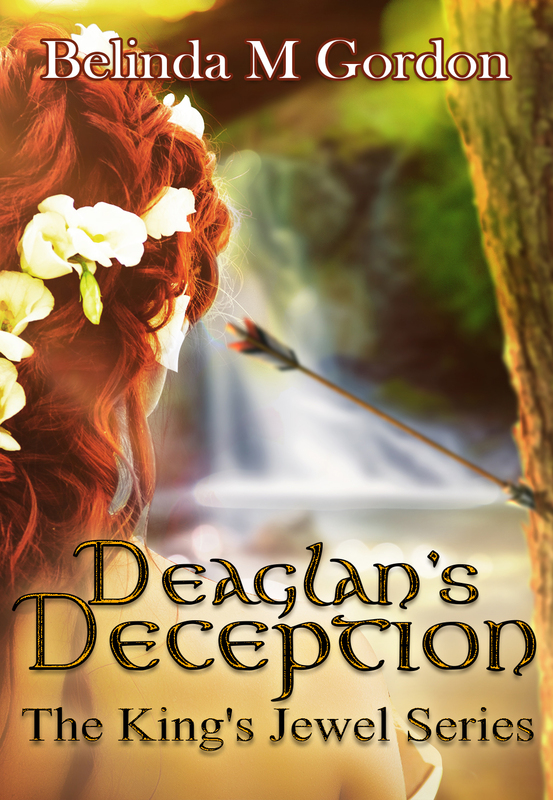 Deaglan’s Deception starts up where book two, Xander’s Folly, leaves off in Tressa and Alexander’s journey to find the four treasures of the Tuatha De Danann and fulfill the prophecy of the King’s Jewel. Look for Deaglan’s Deception’s release in May! This third cover was created by the same artist who design the first two, Wesley Goulart, an international graphic designer based in Brazil. We’ve received so many compliments and inquiries about the covers for this series we decided to interview the designer so everyone can learn more about him and how he went about creating this beautiful cover. Please let us know your thoughts about the cover in the comments. How did you get your start designing book covers? I started drawing very young, and loved books like Lord of the Rings and Harry Potter so I automatically tried to draw fantasy characters and places, later I developed a passion for creating with digital tools and discovered that I could spread my art around the world and maybe inspire someone like me. Holding the first book with one of my covers in my hands was magic and made me know I was born to do this, and I am doing this now and I hope to do this forever. Do you have any favorite genres to design for? 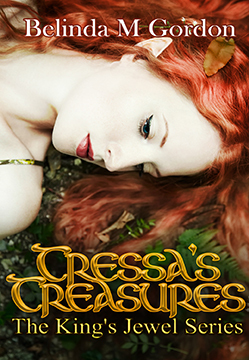 Fantasy, and Suspense, I design all kinds of covers and I do my best in each one, but my heart belongs to fantasy stories. Can you tell us anything about your creative process while working on this cover for Deaglan’s Deception? Working with Belinda is always awesome, she brings ideas, references and passes on the feeling that she wants for the cover. Something horrible was happening in this story, but something wonderful too, so we started creating options trying to combine the main events in a clean and harmonious way. I like to use people on the cover. I think this makes it easier for people to connect with the book. The forest, the waterfall, and the sun flare keep alive the fairy atmosphere and the arrow shows the danger. But Belinda didn’t want a dark and sad cover, so we have the one evil thing in the cover but this doesn’t change the world around it, and this is so important, so we worked until we had the feeling she wanted, and we loved the result. 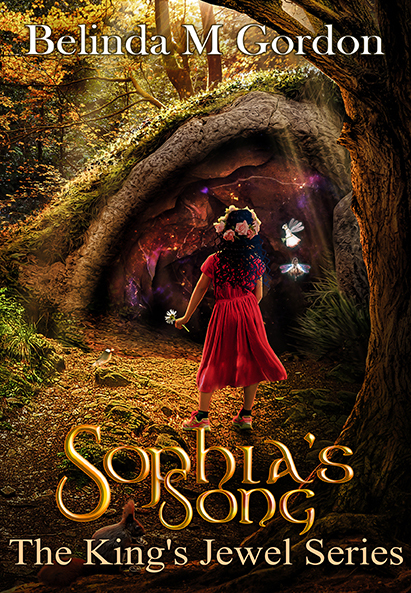 This cover was chosen from several designs. Was this your favorite? Why or Why not? Yes, this was my favorite, because of the message that this cover has, the other covers are pretty too, and some of them took more time to make, but this cover is special. It has all things that we wanted to show, but from the guidance Belinda gave me, I think the message from her to the reader is even when dark and bad things happen we can keep living with all the beautiful things we still have in our life, sometimes we think everything is lost but that is because we are just looking at the dark arrow in the tree, but we have to look around and see the sun is still shining and life is much more than one dark and ephemeral spot. How can people contact you/get more information about your work? I always do my best to understand what my clients need and what they want. I work with them to make any options, versions and changes needed. The important thing is that in the end the writers have a cover that brings attention to and helps to sell the book and they are happy with the result, and not just with the cover but with all promotional material to help the book to be a Best Seller.